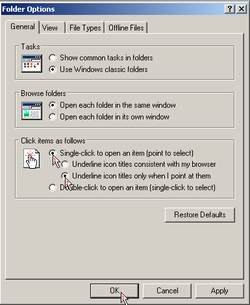 Set single-click customization on desktop and laptop computers, making it as easy to open files & folders. Are you aggravated when trying to open files and folders, because you don't always double-click fast enough? And, changing the click speed in the Mouse Options doesn't really seem to help. Don't worry, this is an easy customization to perform. And, just as easy to reverse! It works for laptops too. Let me show you how. 2. Look in the lower portion of the window where you will see 'Click items as follows.' 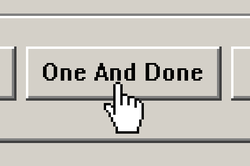 Tick to select the radio buttons next to 'Single-click to open an item [point to select],' and 'Underline icon titles only when I point at them.' Click on OK, to set the customization. 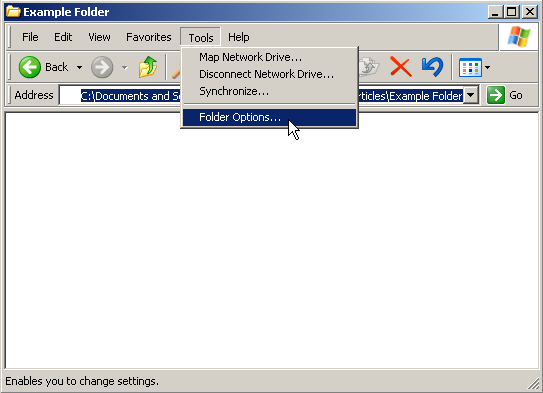 Now, when you hover the cursor over a file or folder, the title will appear underlined and highlighted. Click once and it will open. It will take a little getting use to, since old habits die hard. 3. 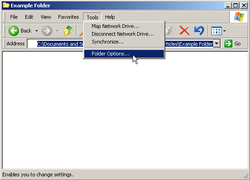 Open the Control Panel by clicking on the Start button found in the lower left-hand corner of the computer desktop and scroll up to the link. Click on the Mouse properties icon to open the window. Slide the double-click speed setting to the fastest rate. Click OK, to exit. Even though this setting says 'double-click speed,' it also affects the lag time on single-clicks making the action almost instantaneous. 4. Reverse the procedure, if for some reason you decide to switch back to the default setting. 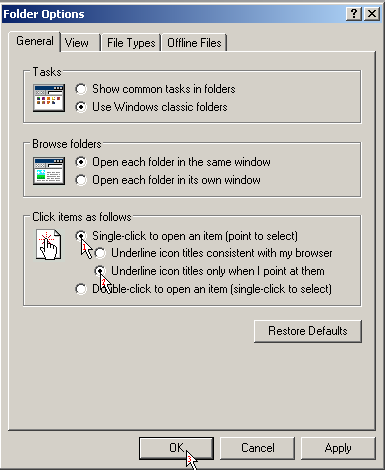 Simply go back into Folder Options selecting 'Double-click to open an item [single-click to select].' Click on OK, to exit. Then, back in the Control Panel, return to the Mouse Properties window and reset the double-click speed. * Set single-click customization in Linux Mint by opening any folder and, under the Behavior tab, tick the radio button for Single-click to open items.